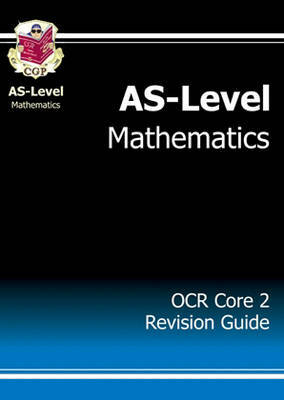 This book is full of clear revision notes for AS Maths students. It covers the Core 2 module for the OCR exam, and it's easy to read and revise from - everything's explained simply and thoroughly. Every few pages there are quick revision questions (answers at the back) and there are two worked exam papers too. There's also a sprinkling of jokes to lighten the mood. It's exactly what you need to prepare for your exams!